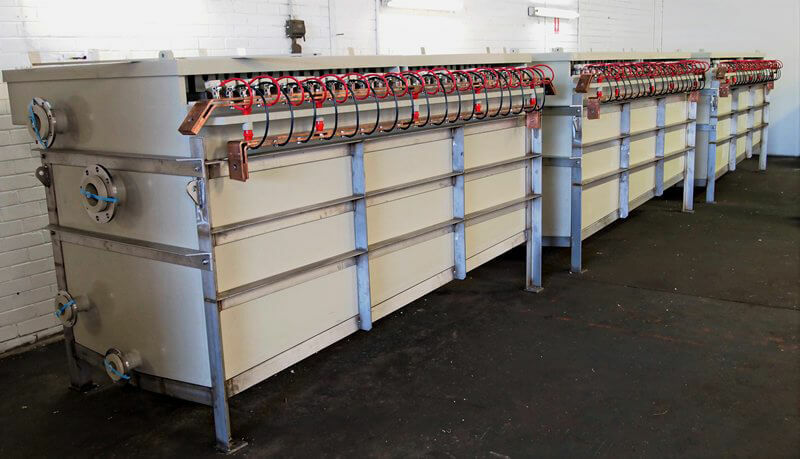 For nearly 30 years, PFWA has had an enviable reputation for being market leaders in the manufacturing of quality and best value electrowinning cells for the precious metals mining industry worldwide, and have secured ‘preferred supplier’ status for several hundred mining projects across Australia alone. Some of our electrowinning cells are still in use 24/7 and were manufactured more than 20 years ago! Our highly skilled in-house engineering team create solutions to our Clients’ exact requirements and specifications, and strictly within our long-standing ISO 9001 quality assurance program accreditation. This ensures we deliver the Best Value for their investment. 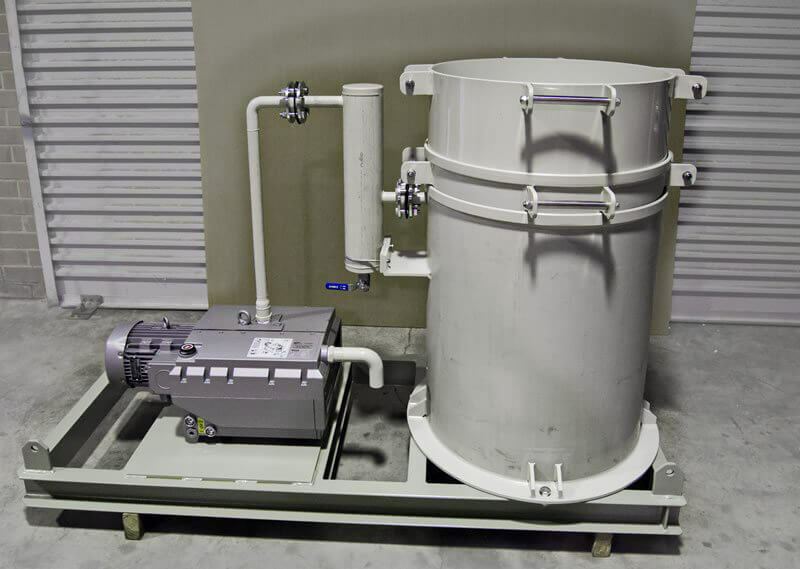 Your PFWA Electrowinning Cell will operate at recovery efficiencies of up to an amazing 99% in one pass and typical barren solutions of less than 3ppm are regularly achieved. The cell can operate with eluate derived from either AARL or ZADRA elution systems. With every electrowinning cell our Clients invest in, we provide a comprehensive range of operational spare parts, consumables and accessories, as part of an Annual Maintenance Regime, which is essential for ensuring optimum Cell performance and reliability, for many years into the future. This means you will be able to onsell them to a new owner taking over your mine, or due the lightweight nature of our Cells, you will be able to relocate them to your next mining project. PFWA are the premier company quality certified to ISO 9001:20015 in the Electrowinning Cell manufacturing business. Represents the standard in the industry, is widely accepted and has been proven over the past 25 years in the gold & silver electrowinning applications. The 100% polypropylene used in our cells is a high strength, impact resistant, monolithic material that will not corrode, become brittle or de-laminate, even when exposed to the most aggressive of chemicals over very long periods of time. 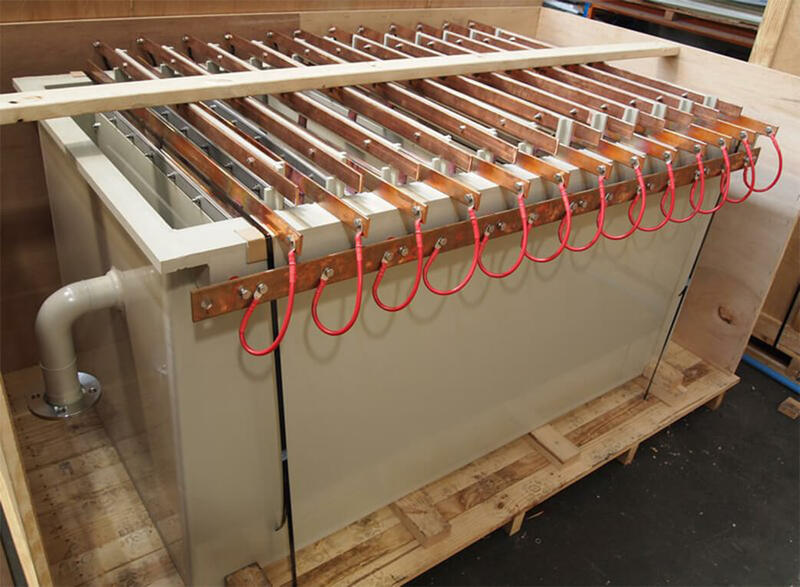 Some of our electrowinning cells are still in use 24/7 and were manufactured over 20 years ago. The polypropylene cell is not able to conduct direct electric current, therefore in industrial plants energised by electrical power it gives superior inherent safety characteristics over stainless alternative cells with lining that is prone to tearing and peeling. Polypropylene is an excellent thermal insulator, greatly decreasing the incidence of burns, and has very low moisture absorption, being compatible with both high and low temperatures. Our light weight cells allow for easy relocation if required. 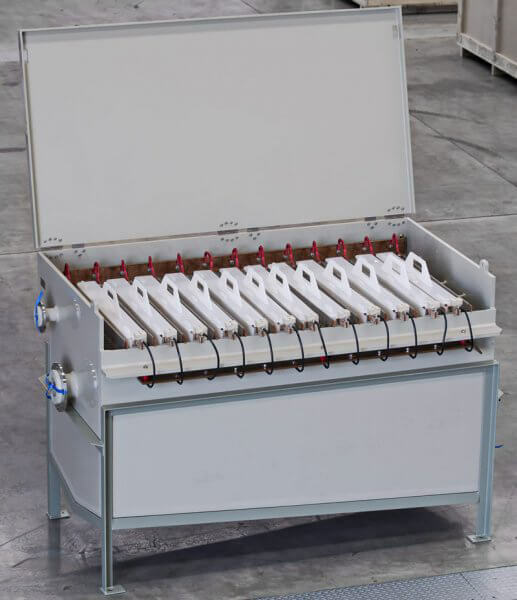 Our patented saw tooth cathode frame configuration, provides optimum conductivity between the stainless steel stocking or steel wool and the cathode frame, thus keeping the plating medium below the liquid level and eliminating arcing and deterioration of the wool/stocking. This also provides even current distribution and reduces potential for hot spots. Polypropylene cathode baskets retain the stainless steel stocking or steel wool so as to avoid any opportunity for shorting between the cathode stocking/wool and the anode mesh. 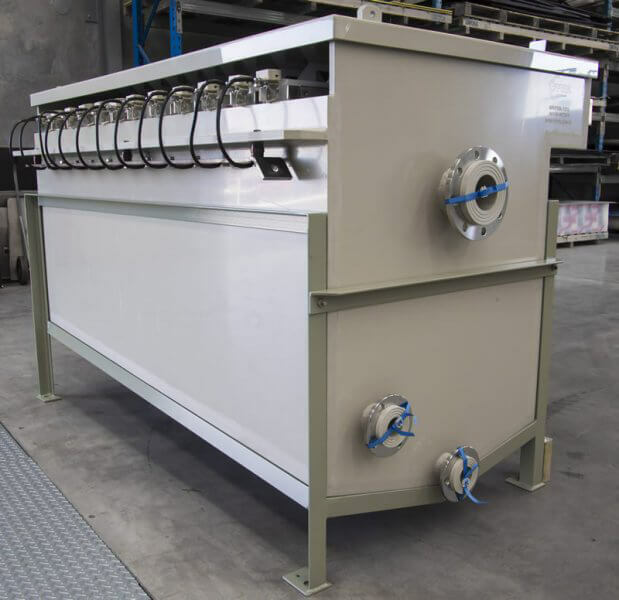 Anodes & cathodes can be readily accessed and removed. 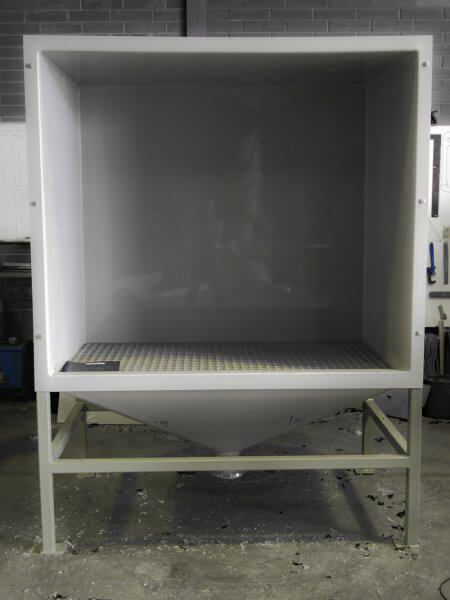 The cell can be provided with a rectifier and fume extraction system to provide a total electrowinning solution. 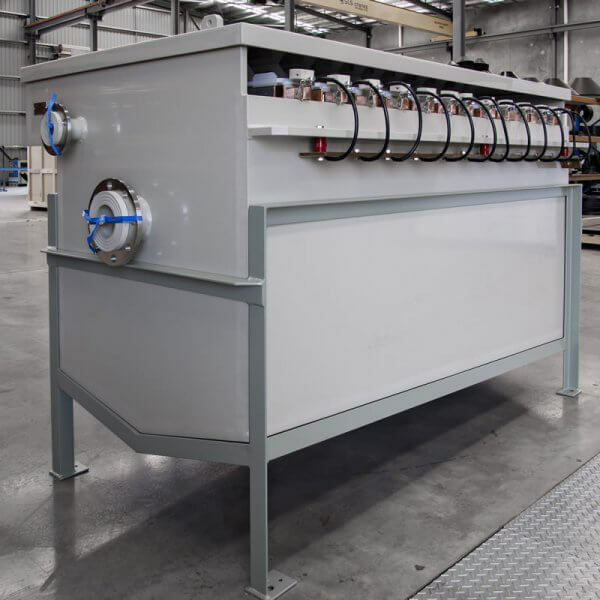 With the long life expectancy of the Electrowinning Cells, clients are able to on-sell and relocate the equipment to another mine whilst still retaining value for the new owner. Below is an extract from our cell register which serves to illustrate the depth and geographical diversity of the clients that we have supplied.